Check out this nice graphic detailing the most rotten cartoon villains of the 1980s put together by our friends at Spoilt Rotten Gifts . Did they miss any? Presented by LA Phil. For tickets and information, visit LAPhil.com. It was a grand time for Prince, too, who had to one-up everyone and make a whole dang feature-length film with Purple Rain. Movies and music were working together to whip up storms when the theme songs for Ghostbusters and Footloose hit the Billboard charts. But 1984 was also the year of Sixteen Candles and a peak time for New Wave and post-punk, thanks to bands like Thompson Twins, Echo & the Bunnymen, The Cars, Depeche Mode and The Fall. Read more of this article on Rhapsody.com. We love top ten lists here at The Great 80s, and it is time for a new one! Today we will be counting down the top ten 80s songs that have an animal in the name of the song. As always, our lists are based on the US Billboard Charts and not based on our personal preferences. Also, since this is based on US charts, it might not translate well to the 80s fans outside of the United States. With that aside, on to the Countdown! The number 8 song is by a Swedish singer-songwriter, rapper, and occasional DJ. In 1989, Neneh Cherry had an international blockbuster hit. Her song “Buffalo Stance” peaked at number 3 in the UK Singles Chart, and the US Billboard Hot 100, and number 1 on the US Dance chart. You might know Brian Setzer from his swing revival band “The Brian Setzer Orchestra”. In the early 80s Brian fronted the rockabilly group The Stray Cats. And their big MTV video hit “Stray Cat Strut” comes in at number 7 on the countdown. The next two songs come to us from one of the biggest bands of the 80s. Duran Duran must have been really big animal lovers because they have scored two hits in our countdown. At number 6 is Union of the Snake, which became one of Duran Duran’s most popular hits, peaking at #3 on the Billboard Hot 100 chart in December, 1983. 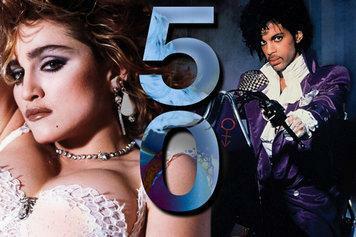 The number 5 song is the hit song whose video catapulted them to super stardom (pun intended). In 1982, MTV put the video for “Hungry Like the Wolf” into heavy rotation, playing it four times a day. The exposure eventually helped propel the single into the top five of the Billboard Hot 100, and their Rio album into the top ten of the albums chart. At number 4 is a hit song by George Michael that was released as a single in 1988 and reached #1 on the US Billboard Hot 100 Chart. “Monkey” became Michael’s eighth #1 US single, and the fourth consecutive #1 from his Faith album. “Karma Chameleon” comes in at number 3 on our countdown. The Culture Club song was featured on the group’s 1983 album Colour by Numbers. The single spent three weeks at #1 on the US Billboard Hot 100 in early 1984, becoming the group’s biggest hit and only US #1 single. We are going back to the birds for the number 2 song in our countdown. It is from an album Time magazine ranked as it’s 15th greatest album of all time. In 1984, Prince made his film debut with the American rock musical drama “Purple Rain”. The lead single from the Soundtrack, “When Doves Cry” was the #1 single in the U.S. for five weeks, from July 7, 1984 to August 4, 1984. The number 1 song in our countdown was written at the request of actor Sylvester Stallone to be the theme song for his movie Rocky III, after he was unable to get permission for Queen’s “Another One Bites the Dust”. The song got tremendous MTV and radio airplay and topped charts worldwide in 1982. Here is our #1 song! “Eye of the Tiger” by Survivor. Duran Duran – The Clothes, The Hair, and The Drugs. The Great 80s November 4, 2012 November 4, 2012 No Comments on Duran Duran – The Clothes, The Hair, and The Drugs. 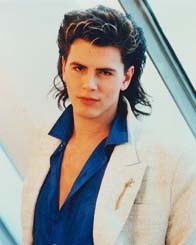 The Daily Beast has a nice article on John Taylor’s new autobiography. Information comes out from the Duran Duran bassist’s on the hair, the clothes, the drugs, and the group’s time as the house band for the Birmingham nightclub called the Rum Runner. The movie “Dirty Dancing” had some great music on it’s soundtrack. It ranks up there with movies like Top Gun, Footloose, and The Breakfast Club for the top movie soundtracks of the 80s. Sony’s Legacy Recordings is now re-releasing this great album and including some extras to boot. DIRTY DANCING: THE DELUXE ANNIVERSARY EDITION will contain a number of exciting additions specifically requested by the fans, starting with the package’s dedication to the movie’s star, the late Patrick Swayze (1952-2009). The image-driven CD booklet contains six ready-to-frame art cards showing iconic images from the movie, plus a newly-designed bumper sticker. Fans also voted on the CD cover image from four images proposed by Legacy, and overwhelmingly chose to retain the original “Lift” image. We were in a bit of a mellow mood today, so we decided to take a look at the soft side of the 80s. Below are the top ten Adult Contemporary Songs of the 1980s. This list is based on the US Billboard Charts and is based on actual performance of the songs on the weekly Adult Contemporary chart. Feel free to embed this list on your site. Just click on the embed icon in the lower right corner for the embed code.